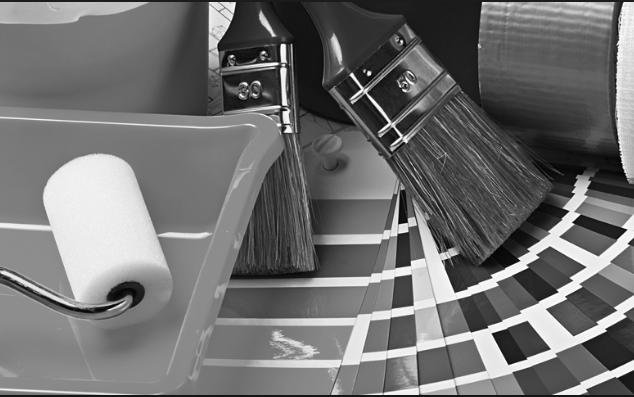 Important tools you need for painting and decorating you room. 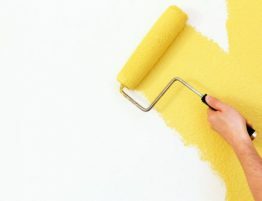 First thing you can start with is to measure walls so you’ll know how much paint you need to buy. Typically, 5 LITRES of paint covers 40 square meters. Make sure you use a primer with a stain blocker. Usually comes free with any paint purchase. Is very important to always stir paint before applying. Attach the spout to a 5 litres of paint and pour without any mess. For big jobs that require many litres of paint. Keep the color consistent by mixing all the cans in a large bucket. Make sure you place this inside the bucket to wipe any excess paint off the roller. Use a metal or sturdy plastic tray for smaller projects. Save clean-up time by using a disposable paint-tray liner. A 3/8-inch nap provides the best finish for most interior walls. In order to paint trim, use a two-inch angled brush, which will give you more control. This is an essential tool for protecting trim or walls that you don’t want to get paint on. Protect furniture with plastic coverings. Place a reusable canvas drop cloth, which is less slippery than plastic, on the floor. Quicker than spackling: Put easy filler into small holes in the wall. Use to loosen any ceiling plates of lighting fixtures and remove switch plates before painting. Before priming, wash the walls with a few drops of dishwashing detergent mixed with water. If the above procedure is complicated for you , we can help you give you an approximate price. Trust your painting and decoration to a team of specialist . Have a look at our list of services.Feel free to contact us today and get a free quote. If this article was helpful make sure to share it with a friend or to your preferred social media account.